Tiramisu contains coffee, sugar and alcohol. Everything needed for an afternoon “pull me up”, which is the word Tiramisù in Italian. 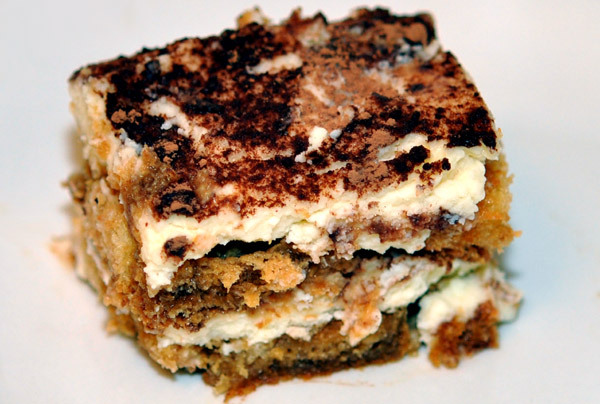 Tiramisu usually consist of ladyfingers (called savoiardi in Italian) cookies soaked in coffee with mascarpone cheese frosting infused with alcohol. Some choose to use panettone, the ubiquitous famous sweet bread loaf from Milan instead of ladyfingers. 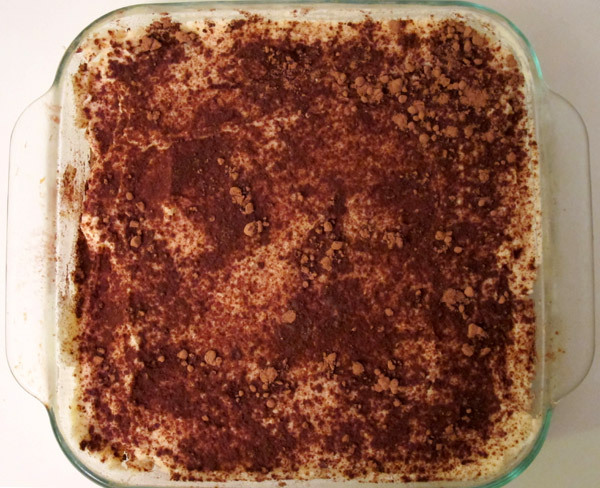 Traditionally, tiramisu recipe consists of eggs. 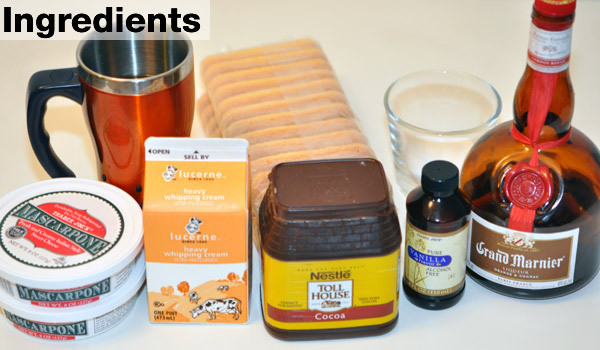 We found avoiding raw egg resulted in a decent yet easy to make simple tiramisu free from any salmonella. My sister always wanted to make Tiramisu but couldn’t find the mascarpone cheese in her local grocery. Last time when she visited me, she made this tiramisu from the mascarpone I got her. The listed ingredients are apporpriate for two layer Tiramisu in a 8″ x 8″ x 2″ square pan , which is the standard 8 inch square pan. 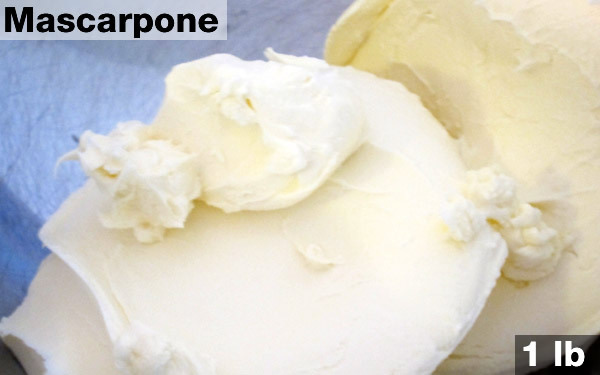 Take out mascarpone, which is an Italian triple-cream cheese containing 40% fat with rich and creamy taste. 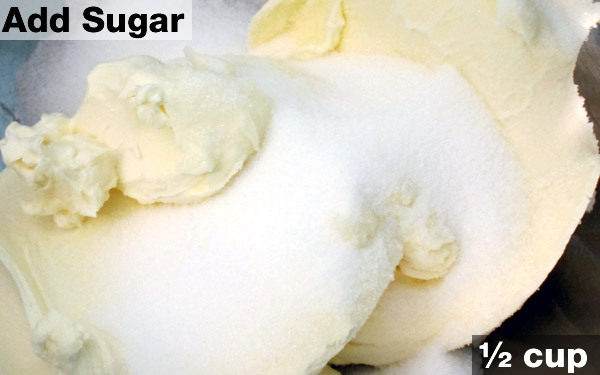 Add ½ cup sugar to mascarpone cheese. 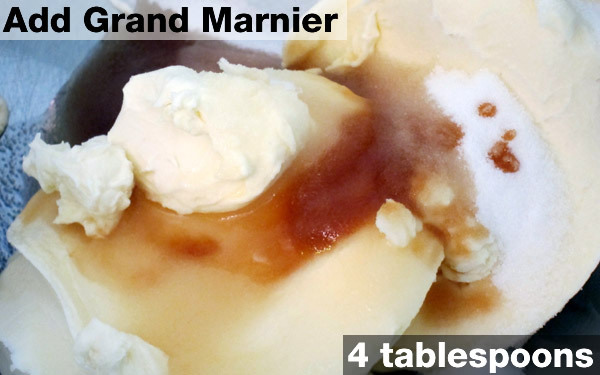 Add 1 tablespoon vanilla essence and 4 tablespoons Grand Marnier liqueur. Beat the mixture lightly. We chose Grand Marnier because we like its orange-flavor. Any other flavored liqueur will also work. 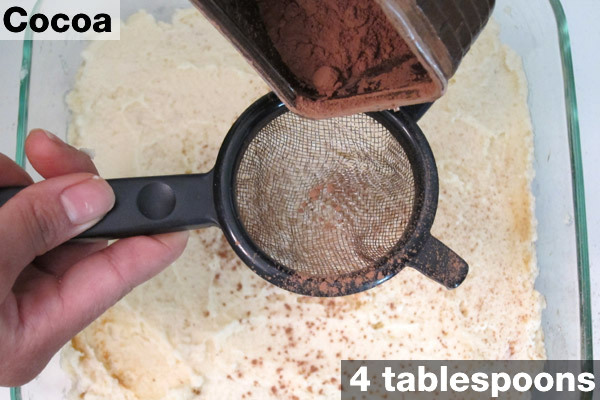 The 4 tablespoons of liqueur was perfect for giving a good flavor to the tiramisu. If you want more alcoholic tiramisu, feel free to add extra shot of liqueur. 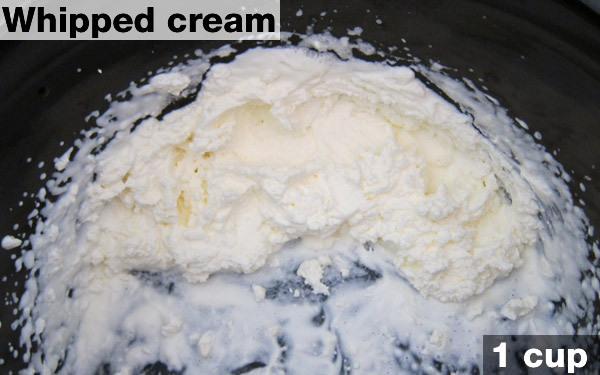 Beat 1 cup heavy cream into whipped cream. 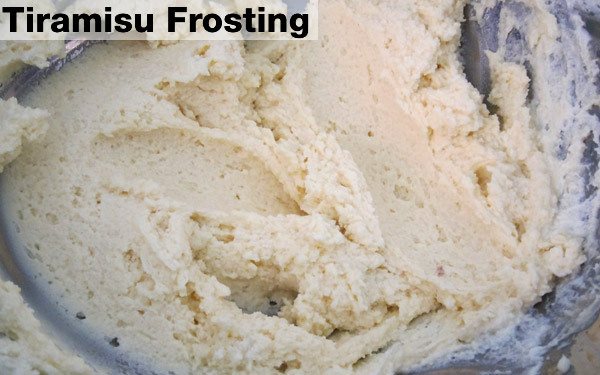 Gently fold whipped cream into mascarpone mix to get tiramisu frosting. 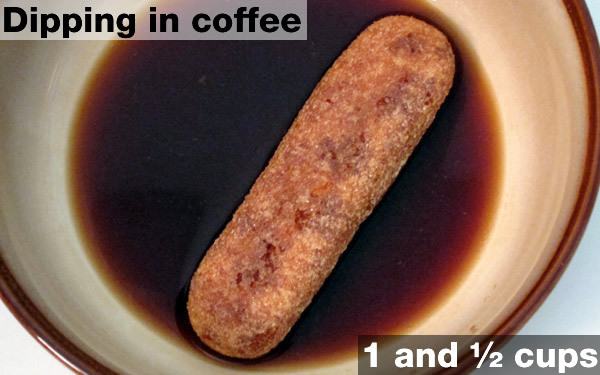 Gently dip ladyfingers in coffee for a few seconds. 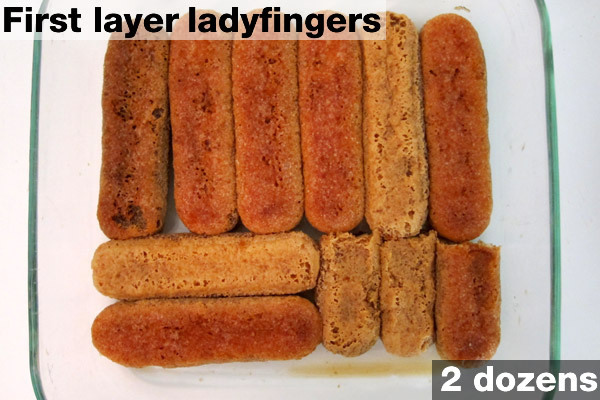 Place the soacked ladyfingers side by side on a pan. 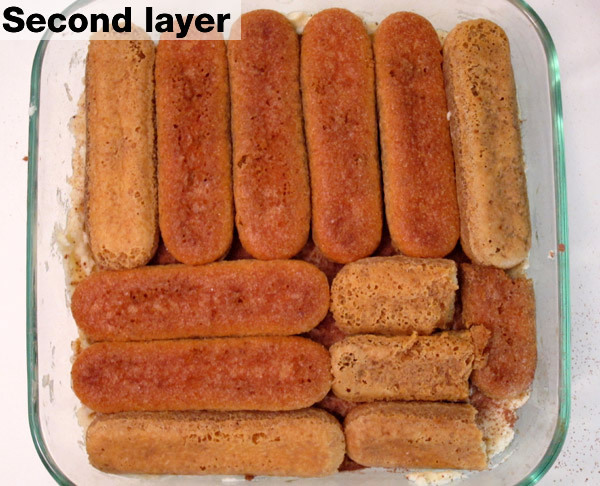 Put about half of the tiramisu frosting on top of the ladyfingers. 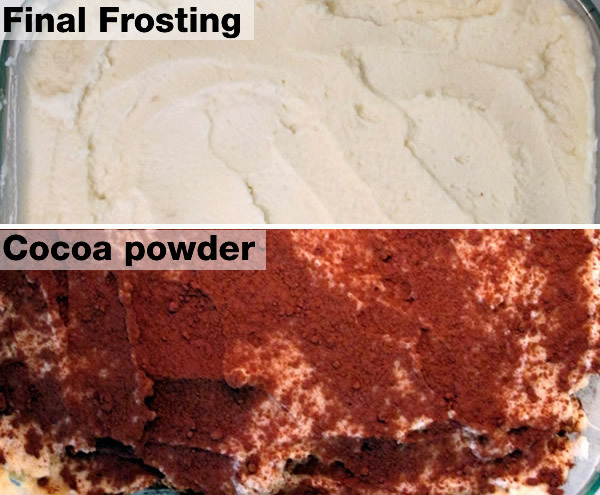 Sift about half of the cocoa powder on top of the frosting. 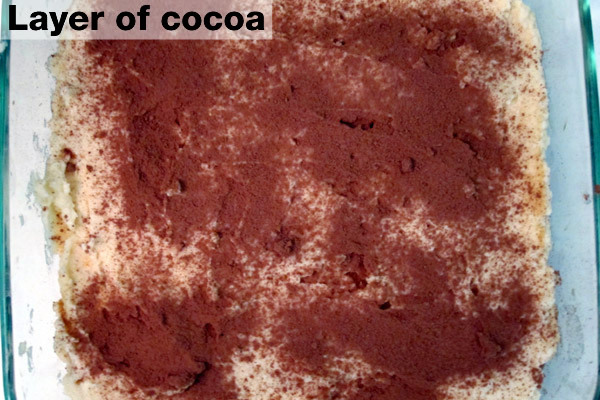 Alongside cocoa powder you can add chocolate shavings as well. We didn’t do it because we didn’t have any shaved chocolate. 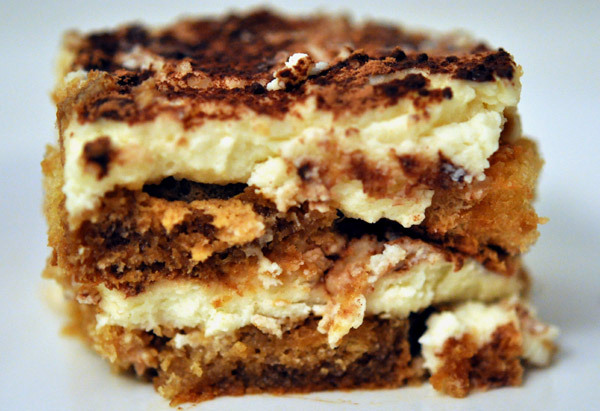 Repeat by putting a second layer of of the coffee-soaked ladyfingers on top of the tiramisu frosting. 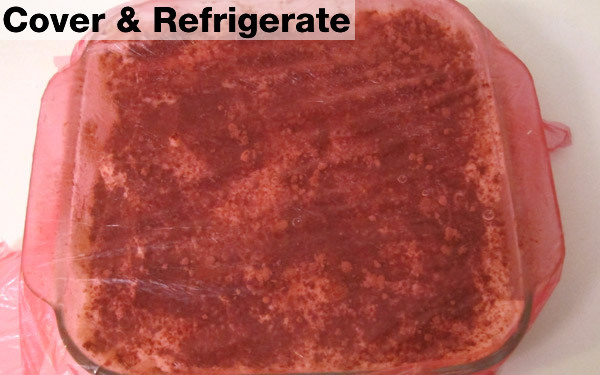 Cover and refrigerate for half hour or more. 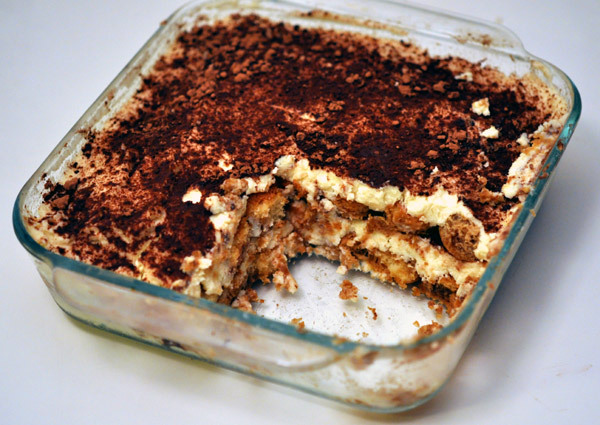 Carefully cut and eat your homemade tiramisu. I prefer equal amount of interchanging layer of creamy frosting and cake. 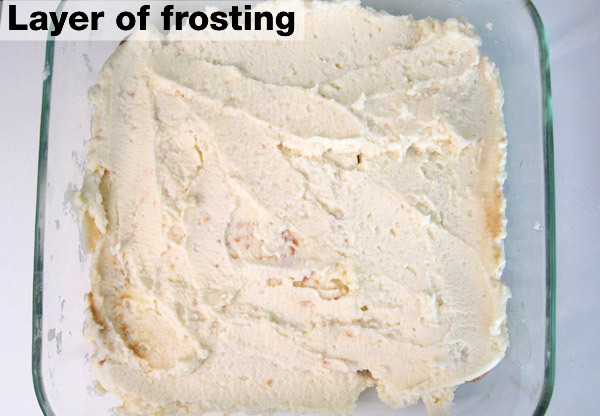 If you like more frosting, make some extra frosting and layer it accordingly. My slice of Grand Marnier Tiramisu! 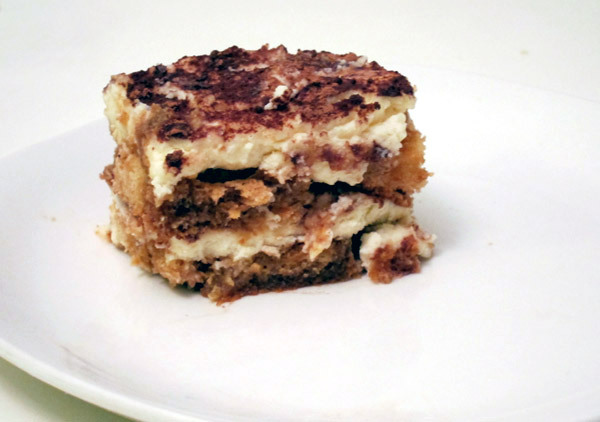 great photos, easy recipe, but it doesn’t taste much like tiramisu.